When I picked up a bunch of Sinful Colors polishes last Sunday... I also picked up this lone little bottle from Wet n Wild. It's the 2nd polish I've bought from the Limited Edition 2014 Street Art Collection. I just couldn't resist adding another coral to my stash, and I definitely don't have a neon one! Formula-wise... this polish is great. It went on streaky as anything at first, but self-leveled with each coat and completely evened out by the 3rd. I'm thinking that it probably could be a two-coater, but I was painting in a tres, tres humid environment. C'est la vie, n'est pas? 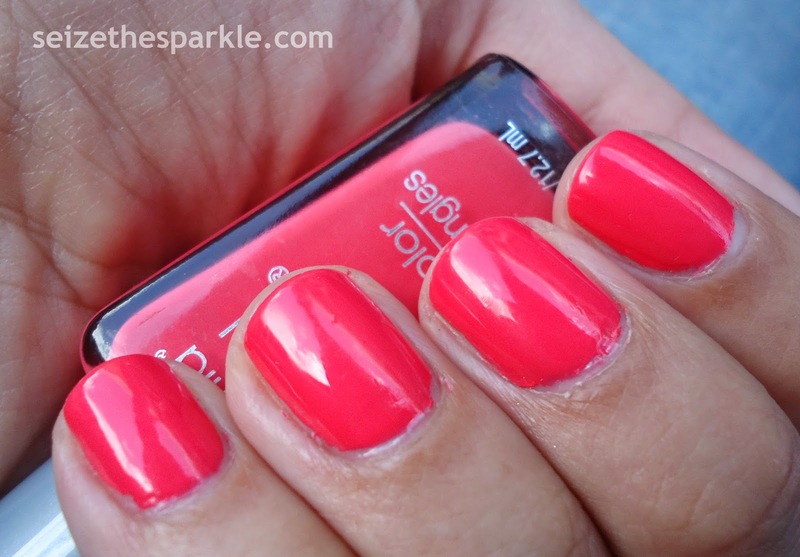 So, do you really need Temptation if you already own a coral polish? For me, this was a definite yes, because I didn't have a neon coral in my collection. Temptation is pinker and lighter than Sinful Colors Coral Riff, and lacks that signature SC shimmer. 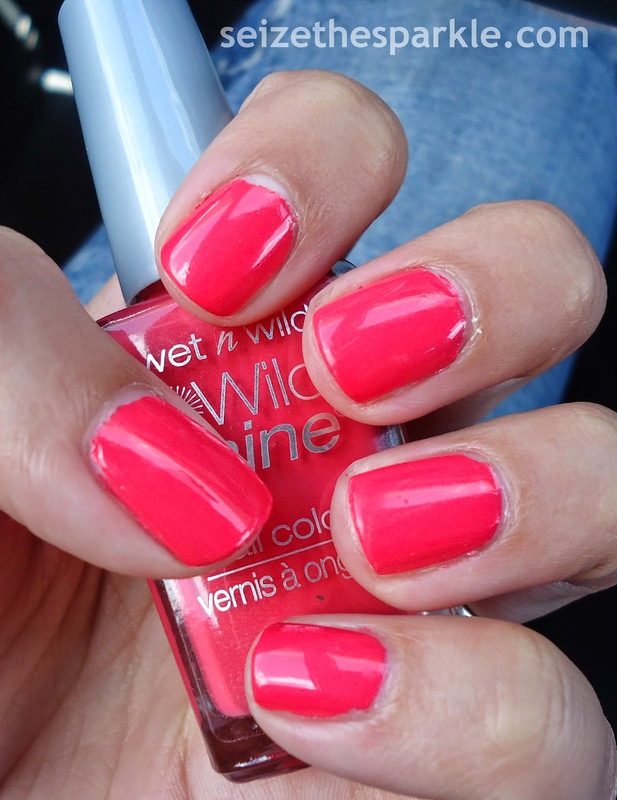 It's a darker shade of coral than Sinful Colors Island Coral, and way brighter. (NEON!) Compared to Wet n Wild Love Me Some Muscles, it's not only waaaaay more of a darker coral, it leans more pink, is brighter, and completely opaque. So there... argument made! Have you picked up any polishes from the Street Art Collection?